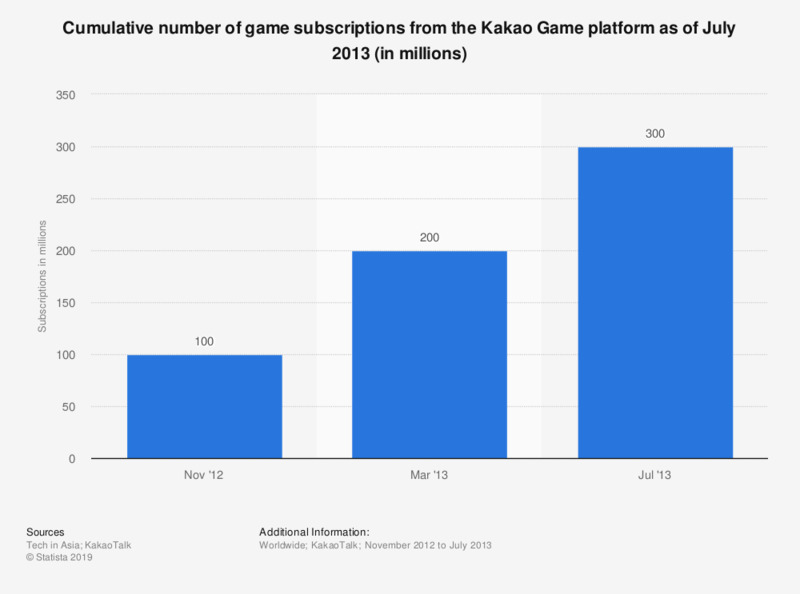 This statistic shows the number of cumulative number of game subscription's on the Kakao Game platform. As of July 2013, users on the platform had accumulated more than 300 million game subscriptions. KakaoGame is part of the South Korean chat app KakaoTalk and was launched in July 2012.